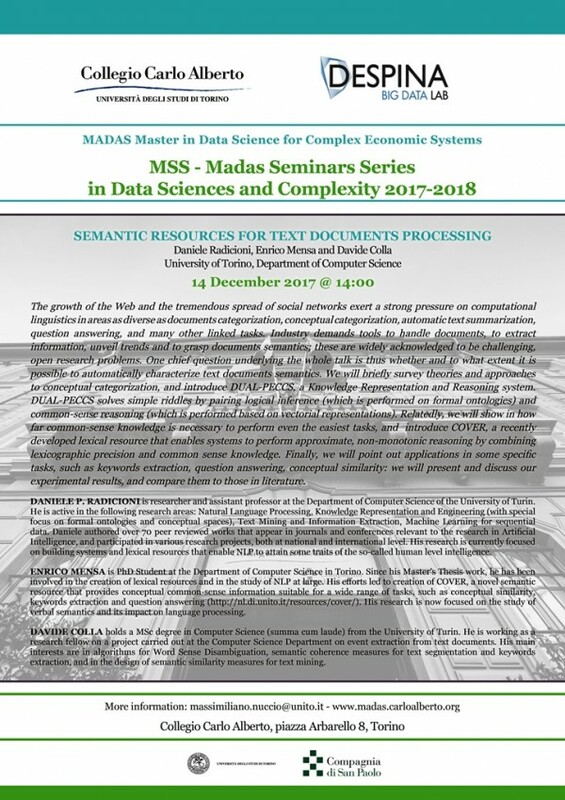 MADAS inaugurates its Seminar Series (MSS) on Dec 14th, 2017 h.14-17 with a seminar on semantic tools for tex analysis. 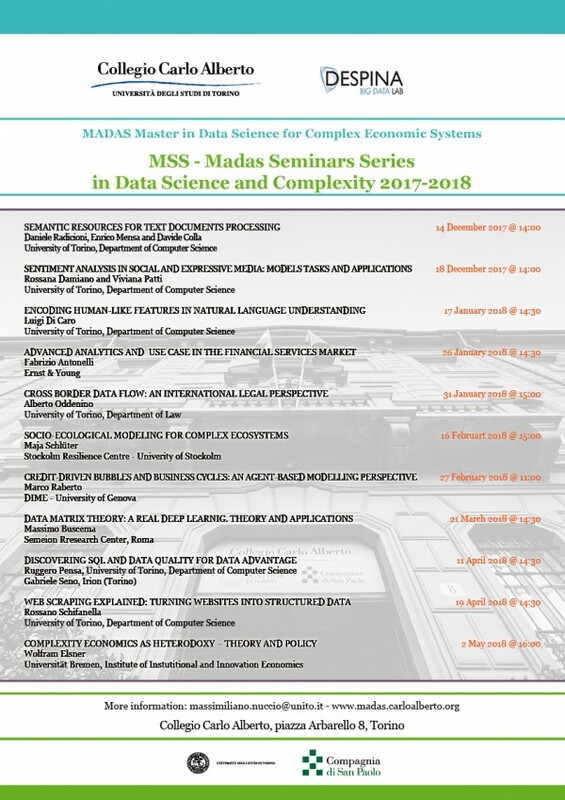 Guest lectures are three academic experts in NLP: Daniele Radicioni, Assitant Professor at the Department of Computer Science - University of Torino and his team - Enrico Mensa and Davide Colla. 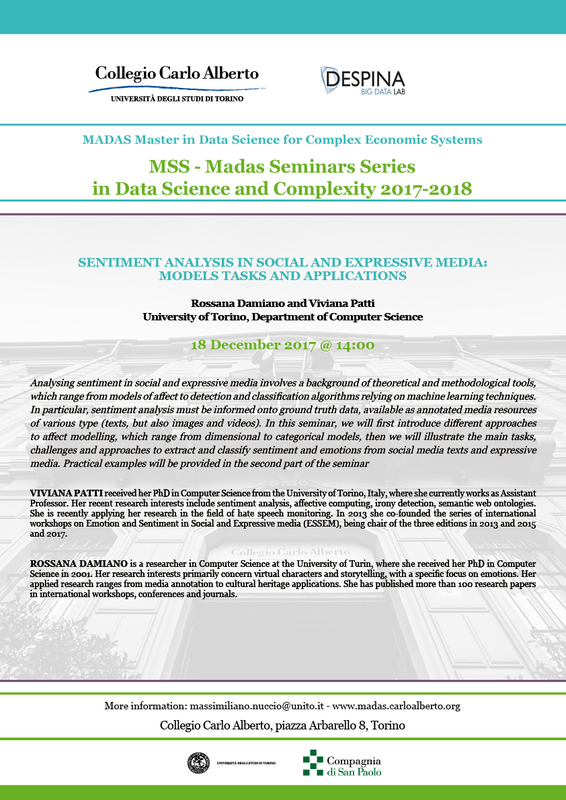 The inauguration ceremony will take place on Friday, November 3rd, 2017, at 5:30 PM in the new location of Collegio Carlo Alberto (Piazza Arbarello 8, Turin). 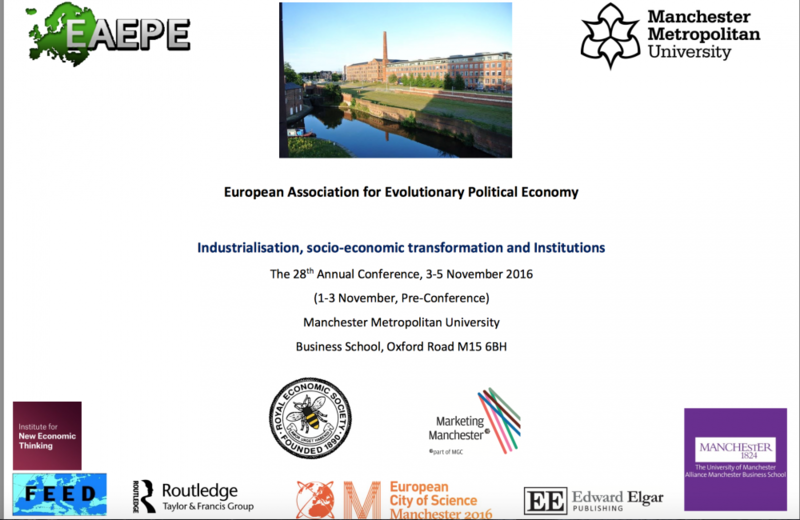 The inauguration lecture will be delivered by Professor Elhanan Helpman. 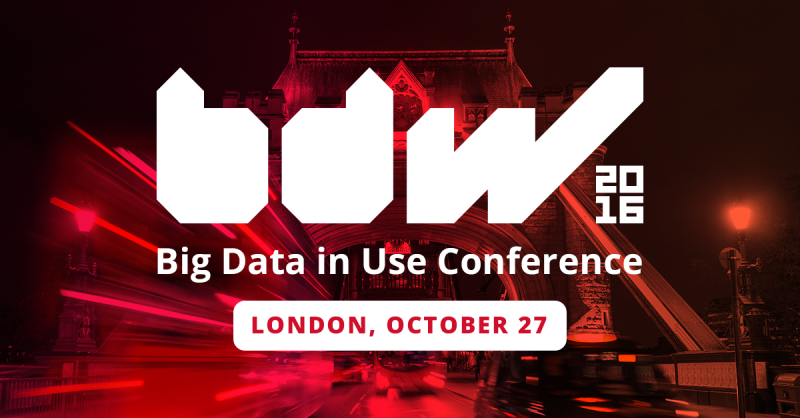 Full program here.